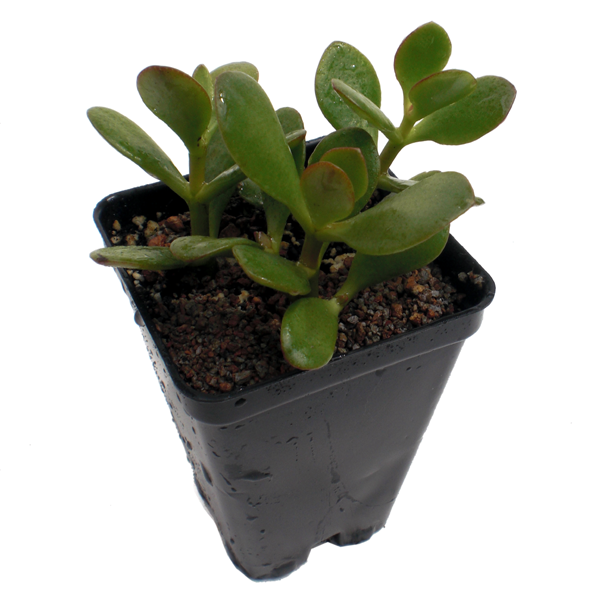 As the name suggests, its leaves are smaller and thinner than the classic Jade. Very adaptable, leaf edges turn reddish with more sunlight. Looks pretty in almost any container alone or combined with other plants.